Written on June 21, 2005, and categorized as Secret and Invisible. Happy solstice all. I am eating coconut and drinking Leffe. 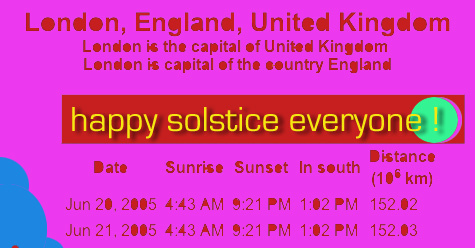 Thanks and happy solstice to you. I’m eating pork and onions at 7.27am and drinking water – yours is better.